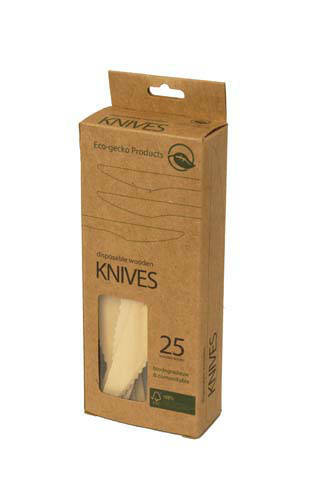 Eco-gecko disposable knives are not only an environmentally smart decision, but they are also completely functional. Many of our customers have been surprised to find out that these disposable knives could even cut steak. 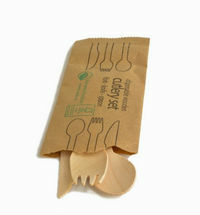 And unlike many PLA-based products, our wooden cutlery work well with hot or cold foods. 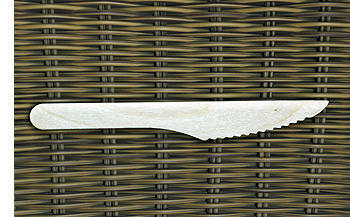 Wooden knives by Eco-gecko are made of birch wood in a process that does not employ the use of any chemicals. Only hot water is used to soften the wood for forming and sterilizing. 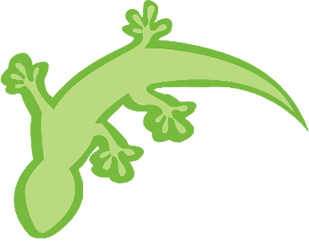 Therefore, there are no coatings, waxes, or toxicants of any sort added to our naturally beautiful tableware. 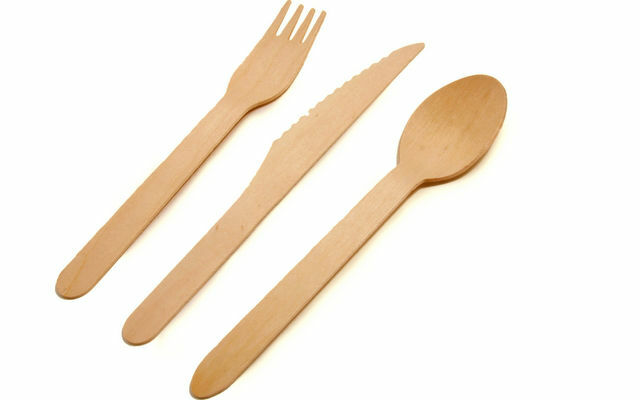 Because our wooden cutlery are all composed of completely organic material, you can compost them in your own home composter or drop them off at a commercial composting facility. 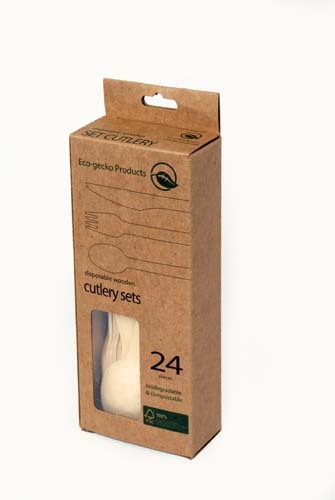 Aside from our current stock of 6 ½ inch disposable wooden knives in bulk and in brown paper canisters, disposable wooden knives with customized logos, customized packaging, in a wide variety of sizes are also available. 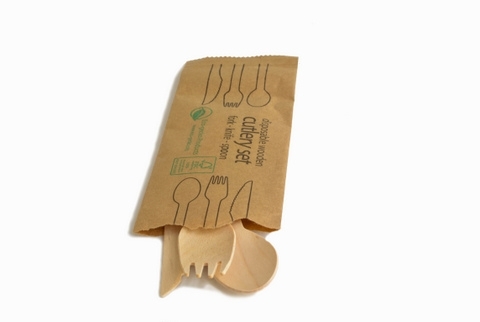 If you have any questions about Eco-gecko biodegradable and compostable wooden knives or any of our wooden cutlery, you can check out our FAQ page, or get more information by contacting our helpful staff now.